...and enter to win all Dr. Dobias Essentials! When I found my girl, Gaia, I thought she was a coyote that had been hit by a car. She was malnourished, could barely walk, looked as if she’d been attacked by other dogs and possibly been used for breeding in a puppy mill. Gaia also had terrible Demodex Mange. Although I was struggling financially, I instantly knew that I had to adopt her. She and I have been through so much together, from rescuing cats to becoming crazy cat ladies, to losing everything except each other and living in a tent for a while. Over the years Gaia has learned to know when I’m unwell. Despite being 85 pounds, she insists on laying in my lap until I feel better! Her vet said if I hadn't found her, she would have died of hunger within two days. Of course, if you ask her, she’ll still say she’s starving! LOL! Gaia loves everyone, but I am her person and honestly believe fate brought us together. - Amy R.
Our last dog Logan, who my husband and I raised from a puppy, died in June 2018. Our home felt empty without the love of a dog, so we decided we were ready to adopt. This time we decided to open our hearts and home to a shelter dog. Although we were nervous and not sure what to expect, we were confident in our experience and felt we had the resources we needed. We rescued Ivy from a high kill shelter in Pensacola Florida. She was within hours of being put down. Ivy was very scared and shutdown when we first met her, but we knew she was ours and vowed to teach her that not all humans are bad. Every day she relaxed and opened up more. I remember the first day she wagged her tail -what a milestone! From that moment we knew she would be ok. Ivy has come so far now and is the most loving and gentle dog. Gaining the trust and love of a rescue dog is such a privilege and the experience has been life changing for us. It takes time and commitment but is incredibly rewarding. So many great dogs are waiting. - Jane K.
Our boys mean the world to us! We rescued our two Pomeranian dogs, Loki and Tobi in 2012. In 2013, a pre-dental CBC (complete blood count) identified that Loki's ALT levels were elevated. Over the next four years, despite using multiple protocols to lower the ALT (Milk thistle, SAMe, Denamarin, etc. ), Loki's ALT continued to climb but never reached what our vet considered "alarming" levels. The Liver Detox recommended by Dr. Dobias would bring the ALT down temporarily, but soon they would rise again. 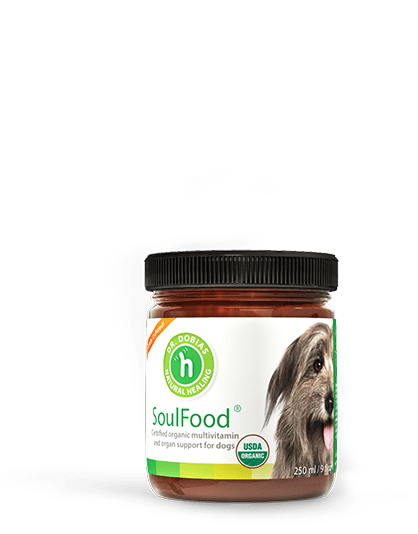 We had also been supplementing our boys' raw diet with SoulFood for some time. I was a cat person all my life; I never planned to have a dog. Then one day in 2005 my life changed when I found an adorable litter of six puppies abandoned in a field; five of them were golden, and one was black. I brought them home and, unfortunately, the black one had parvovirus and almost didn't make it. While I was nursing him back to health, I managed to find good homes for the other puppies. Thankfully the black puppy survived, and I had planned to find him a good home too, but I was in love! I named him Pluto, and suddenly, I was now a dog owner. I consider Pluto as my soulmate, I love him so much, and he always makes me feel safe and happy. A few months ago, at 13 years old, Pluto got very ill. He was clearly in pain, but it took a few weeks for the vet to figure out what the problem was. On August 25th an ultrasound showed a tumour on his spleen. Pluto had surgery the same day, and the spleen was removed. The biopsy report came back saying that it was aggressive cancer with a terrible prognosis. No treatment and no hope. I thought my soulmate would be dead by the end of September. I was devastated, and I cried and cried. And the more I cried, the more depressed Pluto got. Finally, I decided to get myself together and try to enjoy our last few weeks together as much as we could. I also decided to look into alternative remedies, since I figured I had nothing to lose. Dorothy means the world to me! My dog Dorothy means the world to me! She helped reduce my blood pressure to normal without medication by forcing me to get outside, even on days I never would. We hike and swim together, and she sleeps in my bed. My life has been enriched tenfold from the companionship she has given me, the games we play together, and through the many friends we've met at the dog parks we visit. She has friends all over town, and so do I! If I tell you how much my dog, Zai, means to me, I would sound like a crazy person to most people. I met her when she was brought to the Utah Humane Society, where I used to work. But everything changed when we moved to the East Coast in 2015. First, she had hot spots and then contracted Lyme Disease from a tick bite in the woods. Zai has suffered from lameness, urinary tract infections, bone spurs, arthritis and ringworm and it breaks my heart to see her in discomfort. She is not even 6, yet she has been through so much! But despite all of this, I am amazed at how positive and happy she remains! She always wants to play, hike, or go running. She has an innate talent to be an emotional support dog and loves to be around kids and adults who suffer from sickness and mental disease. It seems she understands how much I worry about her but remains strong and loving. Her positivity and smile are reassuring as if she acknowledges the work I do for her and I do everything in my power to make her feel better. I have made a few mistakes in life, but I definitely didn’t make one adopting Zai. She's the biggest blessing I have ever received. She gave me the push to start my own business to spend more time with her; she’s the reason I exercise, stopped drinking and went back to school to become a herbalist. I am not sure I would even BE HERE without her. Zai is my best friend who inspires me to be a better person. I love taking care of her and fight to improve her health. She is the guiding light on my path through life. A rescue that rescued me! I rescued Chloe two years ago. When she first came to me, she was skinny and shy. They told me she wasn't a very affectionate dog, and very reactive around all animals. From the moment she walked through my door I could see she just needed some love. Within a month she gained 10 pounds, simply from eating the right food. From day one I decided she was going to be part of my pack, and my family. I let her sleep in my bed, chill out on the furniture, and hang like she was my best friend - because that is what she is. She is an angel. She is now the most affectionate, fun loving dog you would ever meet. She loves giving kisses and cuddling and loves playing! I swear she laughs and smiles from all the fun we have together. I rescued her after losing both my mom to cancer and my best friend to pneumonia - both way too early and way too young. I didn't realize how broken I was until I had Chloe in my life. She healed me. I always say that she might be the rescue dog, but she rescued me. I can't imagine a day without her! I am a foster mom for Big Dogs Huge Paws. I first heard about Mr. Cleetus in February of 2017; he was a 9-year-old Mastiff with emotional and physical ailments. He didn't get along with the other foster siblings and needed a forever home. I took just one look at him and knew I had to adopt him. The first time he walked into my house, he knew it was his home. As for his health, he could barely walk and was practically bald from allergies. I slowly transitioned him to a fresh food diet, but he continued to have problems. His allergy test came back with 69 known allergies, and after I switched his foods, his whole demeanor changed. He was happier, he stopped tearing himself apart, all hotspots went away, his lick granulomas healed, and best of all he was running around like a five-year-old! He was finally happy. Unfortunately, a few months later, I found a hard tumor the size of a large marble on his right flank, and we also found another tumor tumour in his left lung. The doctors gave him six months to live, and I was crushed. We were just starting a life together. It’s NOT fair! I have always been interested in research on dog nutrition and cancer prevention, but until I adopted Cleetus, I didn’t really know I had been learning for him. 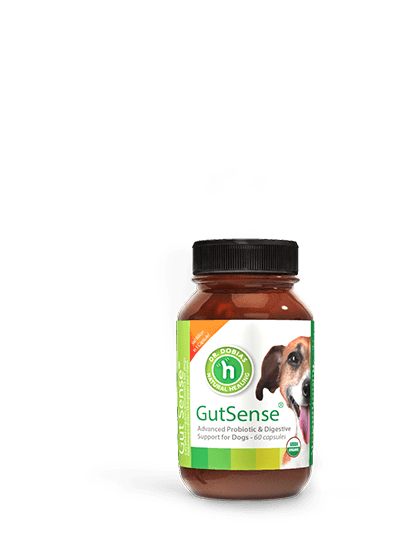 I re-watched the Dog Cancer Series over and over again, I put Cleetus on a ketogenic diet and started with cancer-fighting supplements immediately. Fast forward, it's been six months since his diagnosis, and I just had his x-rays done again. The pulmonary tumor has not been growing, his flank lump decreased to the size of a pea and all lab work is normal. Cleetus still comes along for 2-mile walks, his allergies are nonexistent, and he is happier and in better shape than he has ever been. I first saw Stanley’s sweet, sad face in late April, on the Facebook page of Diasozo Animal Rescue in Greece. There was nothing to him, just a skeleton with the saddest dog eyes I had ever seen. When Diasozo found him, he was just a baby, alone and abandoned in a junkyard using two old car seats placed on top of each other as a shelter. He smelled of rotting skin and disease and couldn’t be touched because he was in so much pain. Without hesitation, we contacted the shelter and asked if we could adopt him. It took four months of loving care from the Diasozo angels before Stanley was finally ready for his big journey to us in Canada. Luckily my sister traveled to Greece on holidays and offered to bring Stanley back. However, there was a huge hurdle as temperatures in Greece were unrelentingly high and on most days pets were not allowed to fly. I confess I spent most my time on weather apps monitoring the soaring temperatures. But, the stars were aligned on the morning of the flight. We had a half degree Celsius to spare, and on that day Stanley was allowed to fly! We welcomed “our boy” at the Vancouver Airport on August 14, 2018, where he joined us and his big brother Nelson at his forever home. My story is a little different as I love eleven dogs. My husband and I rescue the ones that are older or ill and are unlikely to find homes. We have one Dachshund that is paralyzed, another couple of “Wieners" who were returned to the shelter more than once and another older “Dachsie” that came from a hoarding case and fear-bites when distressed. We also have two “ancient” Pomeranians plus two middle aged Springer Spaniels full of zest and energy. Every one of the eleven dogs is precious, they fill our retirement with purpose and we can make them feel loved and healthier at the end of their lives. When the whole pack gets in bed with us to take a nap, my heart overflows with peace and love I see on their little faces. I rescued Chaya on Valentines Day 8 years ago, and shortly after, my beloved three-legged older dog Oz died of pancreatic cancer. Chaya was with me at the vet when Oz passed, and it seemed like she knew that her new job was to take care of me. Despite being a pup, she was the most intuitive and compassionate dog I’ve ever had the privilege of knowing. At the time I was in a relationship with an alcoholic who was physically and verbally abusive and Chaya was my saving grace. When I cried, she climbed onto my chest and wiped away my tears with fervent licking. Chaya went everywhere with me. We learned to stand up paddle board on whitewater together; we road-tripped across the US where she bounded through snow banks in Colorado. Because of her support, I was able to leave the relationship, and she helped me choose a wonderful husband who also adores her. At our wedding, as if on cue, when we were pronounced husband and wife, she stood between us, happily looking back and forth, and then walked between us down the aisle. She is now more playful and relaxed because I have someone else looking out for me. I never need a leash for Chaya because she is never more than an arm's length away, always looking at me, always focused on me. She has such an incredible capacity for love. I met my dog “Monkey” at the Maui Humane Society shelter. I met my dog “Monkey” at the Maui Humane Society shelter. He was admitted together with five other dogs who were rescued from a house fire. The owners simply could not look after them after losing their home and he was obviously traumatized by losing his home and his family. The first time I saw Monkey was in the “adoption kennel” where I volunteered as a dog walker. Every kennel had a sign to mark if a dog was walked or not. When I first saw Monkey, he was so cute, sitting in the kennel and I remember being disappointed that someone had already walked him. I went on walking other dogs, but when I returned, I went to say hi, and he licked my face all over. Originally, I thought I would adopt a chocolate lab but when I saw Monkey that was it. Yes, it is true that he peed on the dining table leg when we got home, but since then, he has been an absolute angel! In fact, he is the gentlest and best behaved dog I have ever known. My Maddee is 15 years old. She’s a chihuahua/manchester terrier mix. When she has about one year old she was given to me by a friend who could not keep her. She was newly adopted from a rescue of over 50 dogs (animal hoarding). Maddee was emaciated and had such bad heart worm that she was dying. Rather than treat her the hoarders simply placed her on an ant pile so that when she died the ants would eat her carcass. She was rescued from the ant pile and put on the news. Eventually, she found her way to me two months later. She was scared and she was shy. I waited months for her to come around and she finally did. She has a full and loving life now. She’s taught me what love really is. To have this completely trusting animal depend on me and look to me for comfort, care, play and love totally changed who I am as a person. I never knew how to really love unselfishly until my Maddee. She is turning 16 in April and because of raw food, supplements and good probiotics (GutSense!) She seems much younger than her years and is in excellent health. Maggie Bear has filled a hole in my life that I thought would be there forever. Four years ago I lost a rescue dog who my family had taken in 3 years prior. Her name was Mika and she was a magnificent Alaskan Malamute. Her owners had abandoned her and I loved her so much. She was gentle, loving, intelligent, cunning and beautiful. She saved the life of my uncle and also stopped a toddler from disappearing from his mother. She would always walk on the side closest to the road and put herself between me and anything she considered dangerous. Mika passed away when I wasn’t there. I came home from a holiday with my husband only to learn that she’d crossed the rainbow bridge the night before. My parents didn't have the heart to tell me before I was about to get on a plane. I was broken. I laid next to her grave and wept for her. I felt as though I’d failed her. She was sick, and I didn’t know. Later on, my husband and I bought a house together and moved in. But the house didn’t feel like home, and we both knew why. I just couldn’t bring myself to "betray" my big Meeky-moo by replacing her with another dog. As time went on, we decided to expand our family, but I still felt guilty at the very thought. I also didn’t want to go through the pain of losing another dog, which is why I researched dog breeds that have a long lifespan. Eventually, we found Maggie, a big, black and tan, fluffy, Tibetan Mastiff. Maggie couldn’t look more different from Mika, but otherwise, she reminds me of Mika so much. She looks at me the same way as if she thought she was more than just a dog. She is smart, she can be cheeky and plays just like Mika used to. But the biggest thing the two dogs have in common is that they have in common is that they both filled my life with so much love and joy. My beautiful Boston Terrier Austyn was diagnosed with stomach cancer in August and within two weeks he was gone. I spent those two weeks sharing his last adventures using the hashtag #mydyingdogslastadventures. Sharing my boy's last adventures with all of my friends and family has been very therapeutic for me during the last few weeks. Austyn the Boston saved my life. I had to do everything that I could to save his and that's exactly what I did. I rest easy knowing that I made the right choice. Austyn came to me at a time in my life where I had no hope for the future. I was a week shy of my 18th birthday and after trying to adapt to my new life as a quadriplegic for a year already - I really didn't want to do it anymore. My friends had all gone off to college and I was alone and feeling very hopeless. Then I found my boy. My whole entire world changed. Even on my hardest days when I wanted to give up, I had my boy beside me licking my tears. He became my strength. He has been my strength many times over the years when I needed a little push to get through tough times. He laid in bed with me and kept me sane through each of my three miserable pregnancies. He became the best big brother to his three little humans. They lovingly dubbed him "Puppa". He was the most gentle, patient and sweet pup to those boys. Even in his last days when he was uncomfortable, he was still so loving towards them. Austyn, you are already missed beyond measure. The house is eerily empty without the sound of your paws on the hardwood, the sound of you barking at the neighbour dogs in the yard or even just the sound of your snoring at night. I know that you will forever walk beside me, reminding me of my strength in times of doubt. Thank you, my love! Thank you for showing me how vital dogs are in my life. We just got a new little guy and I'm determined to give him the best holistic lifestyle possible! I was at a low point with my health and depression following a traumatic event. I didn’t know what to do to heal and meanwhile I couldn’t force myself out of bed many days and was so resigned to the depression that I often couldn’t even muster brushing my teeth. When I got my dogs, Dragon and Pandora, I fell in love. I needed them and they needed me to be their provider. It was what I needed to motivate me and eventually learn how to take care of myself. Even today, my health improves because I am motivated to do the right thing for my dogs. One of them needs a great deal of exercise outdoors, so that means I get to take them to the local dog park for socializing and fun every day. Dragon and Pandora continue to inspire me and help make my transition back to being productive every day. They are the light of my life. I am so grateful to have them and I appreciate something new about each of them every single day. Tell us your dog’s story and enter to win all these products! Share with us how much your dog means to you. Get your dog a perfect Dog Day gift! A soft handcrafted, natural wool leash made in Vancouver Canada. Comes in five different colors. Prevents neck injuries, absorbs shocks and is gentle on your dog and your shoulders. Purchase your leash now and enter the draw to receive yours free. Thank you for caring for your dog - select a product below for a chance to win. Purchase your products now and double your chances to win the whole collection. Dr. Peter Dobias has 28 years of experience as a veterinarian. 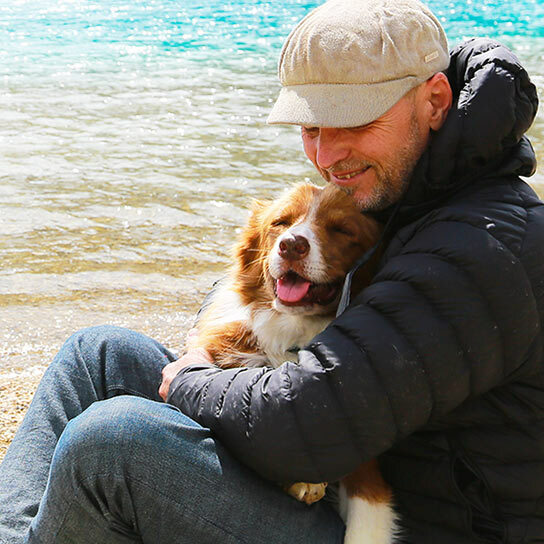 His love of dogs and passion for natural healing and nutrition led him to writing, teaching and helping people create health naturally without drugs, chemicals and processed food. 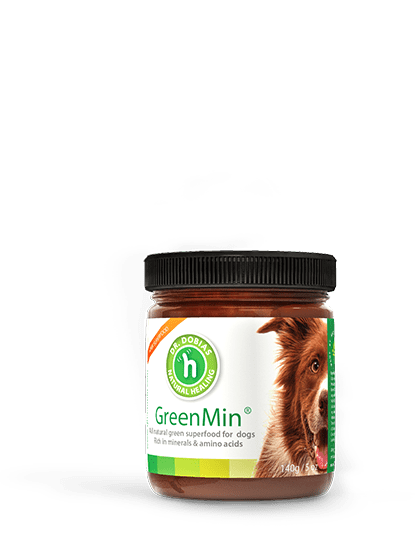 Through his work and the all-natural supplement line, he helps dog lovers get the gift of extra time with their dogs. He lives in Vancouver, Canada.